This is the garden is the beginning. I went with some plants and seeds to see how it all went. This one shows the seeds starting to sprout. I was a little nervous that they wouldn't come up. Now the trellis is up so that the tomatoes, beans and cucumbers have something to climb. 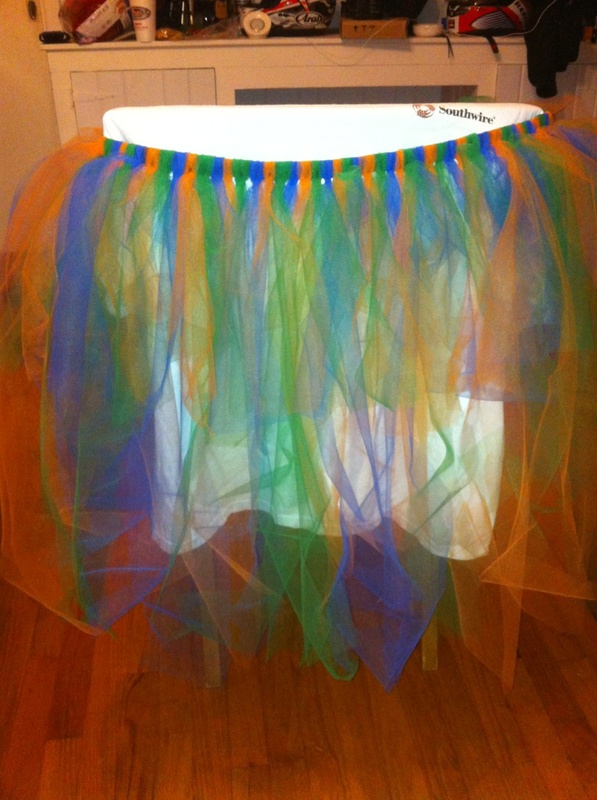 This is the tutu I made for tutu Tuesday. I cut the tulle in alternating lengths to give it some depth. I may cut the long ones shorter but I am not sure yet. It was a lot more work than I thought it would be but I am happy with the results. Now I need to start on the jacket.